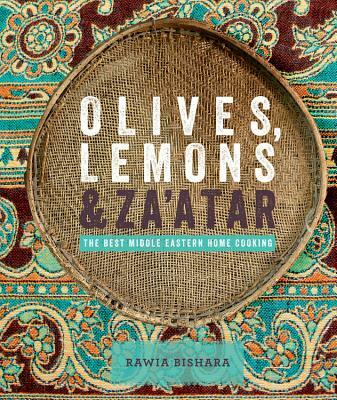 Tangy lemony tabbouleh, smoky, rich baba ghanouj, beautifully spiced lamb shank...the recipes in Olives, Lemons & Za'atar provide something irresistible for every occasion. These dishes represent the flavours of Rawia's Middle Eastern childhood with recipes copied faithfully from family cookbooks (her mother's most treasured harissa), and then developed with a creative flourish of her own. Her food is deeply personal and so she includes the classics but also the Mediterranean influences that come from summer holidays in Spain and living in Bay Ridge, the old Italian neighbourhood in Brooklyn. The result is a sensational cross-cultural mix and provides you with everything you need - pickles, yogurt, bread, mezze, salads, stews etc - to enjoy the best home cooking and share the most convivial Middle Eastern hospitality. Rawia Bishara opened the restaurant Tanoreen in 1998 as a way to share with the world the rich culinary heritage of her native Nazareth. Located in Brooklyn, New York, Tanoreen has received praise from publications that include The New York Times, The New Yorker, Travel & Leisure, and the Michelin Guide. In 2017, Rawia was nominated for the James Beard Foundation award for Best Chef, New York City.